OnePlus launched the OnePlus 3 in June, and since then, the phone has been getting some good feedback from all over. In terms of specifications, the OnePlus 3 is beast. It has Snapdragon 820 SoC under the hood which is accompanied by 6 GB of RAM and Adreno 530 GPU. 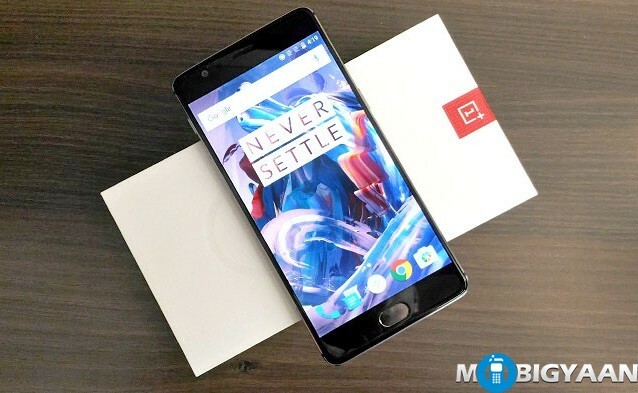 OnePlus 3 is a smartphone which is a dream of Android enthusiasts. You get insanely powerful hardware along with near stock Android at an affordable price. If this doesn’t sound like Christmas to you, we don’t know what would. We have already published our OnePlus 3 review so we aren’t going to talk about the pros and cons of this affordable flagship today. But, we are going to talk about everyday situation that most smartphone users face. Dropping the phone. If you are spending your hard earned money on a smartphone and if it breaks easily with a small drop, then we think your money isn’t well spent. The OnePlus 3 has an excellent build quality. It flaunts a unibody metal construction with no gaps whatsoever on the device. As soon as you hold the device in your hand, you get a feeling of sturdy build quality of the device. But, can it survive a drop, you ask. We have shared a video below where you see the OnePlus 3 being dropped from an altitude of 750 feet. Let’s see whether it gets cracked or survives the drop like a boss. Check it out. By the way, have you ever dropped your smartphone?